Budgeting for the security of your business is an important task. However, many commercial businesses often overlook the importance of a security budget, and the benefits that budgeting for the security of your company can bring. Having something like a security budget in place allows you to bounce back from negative outcomes such as business break-ins. Of course, most companies tend to budget for the very obvious things, but security often gets left to the wayside. Veteran business owners know the benefits that security brings to the table, and they understand how it can help your business run smoothly. As far as the success of your business goes, having a security budget can set you up for success in many different ways. The prime focus of this article will be exploring the importance of having a robust security budget in place for your company. To have a firm grasp on the reasons why a business security budget is even important, you need to have an intimate understanding of what businesses hope to achieve by implementing some security protocols. It also helps to have an idea of how these security protocols are handled and achieved. Overall, this knowledge will help guide any business owners who hope to set up the right security budget that will help their company function flawlessly and fluidly. When a business is not operating at peak performance, there is always a reason why. Smart companies usually take the time to trace the cause of this lull in performance, and oftentimes they find themselves facing the undeniable fact that their business security is having a negative impact on the overall performance of their company. It is usually instances like these that spur companies on to pay close attention to the state of their commercial security. Without an effective mechanism of security in place, your business runs the risk of endangering the lives of employees and customers. In addition to this, there is also the risk of sensitive company and customer data being released to unauthorized individuals, or the risk of loss to company assets and monetary value. Investing in your business security simply allows you to run a tighter ship, which makes things easier for your company in the long run. Essentially, having a modicum of business security in place helps keep your business protected from threats that you might not even have perceived. However, without a security budget, the idea of having great security only ever remains an idea. Physical Security: Ideally, any security budget that is utilized by a company should factor in physical security and the common physical security threats that institutions face. Security is all about layers, which means that there is never just one solution that caters to all the threats you might face. In order to get the best security possible, companies have to pair physical security measures with cyber security measures. Examples of physical security measures include the use of access control systems, integrated surveillance devices, installation of commercial door locks across the premises, etc. Cyber Security: Your security would be very one sided if you only focused on physical security to the detriment of everything else. A complete commercial security system will factor in cyber security, and the right budget will reflect this addition. 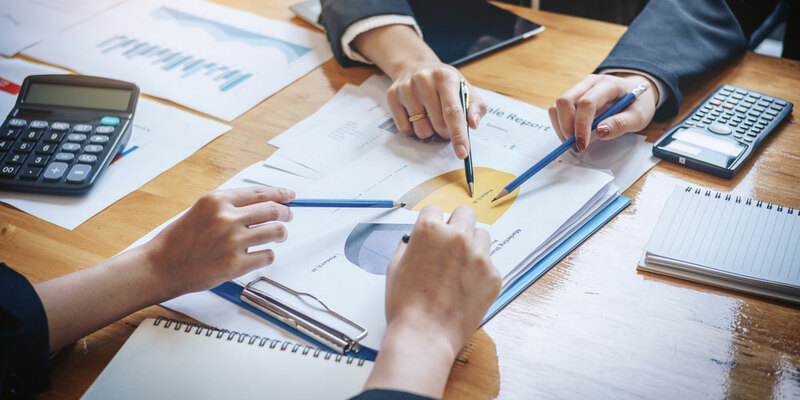 Most businesses take several precautions and measures to save money throughout any given fiscal year, and this is a part of what makes a company smart and efficient. It is usually the case that companies that have a clearly defined security budget save more money. If you think that being financially efficient and responsible are not enough reason to craft a security budget, then read on because you will most likely change your mind at some point. The beauty of a security budget, or any budget for that matter, is that it allows you to set clearly defined goals, deadlines and even cater to potential outcomes. Once you have a general idea of how things will play out, as well as what you need to make your business security feasible, you waste less money and time trying things because you already have a clear idea of what it is that you want. By taking the time to allocate specific security costs and actions a set amount of money that should cover them, companies minimize the risk of wasting money on miscellaneous security expenses that they might not even really need. For instance, a company that does not have a security budget might invest in a singular security protocol that might be over priced, rather than investing in multiple sets of commercial door locks that can be more impactful wider apart. Keep in mind, installing security systems also lowers your insurance premiums! With the help of a security budget in place, businesses will have a much easier time to secure their assets. This is simply because they will have the framework in place to properly allocate their security resources and guard their most important assets. Not only does it give companies of way of setting money aside to secure their most important assets, but it also gives them an efficient way of figuring out inherent security flaws they might not have been paying close attention to. The amount of work that is required to construct a working security budget, gives you the opportunity to really study the nature of your business and pinpoint any particular flaws that might usually be overlooked. For instance, if a warehouse is intent on improving their warehouse security and choosing the right warehouse locks, a security budget will help them determine which locks offer a good range of security while still being within the confines of their budget. Another important reason why business need a security budget in place is because of the options that it presents when it comes to expansion and upgrades of your security protocols. It is crucial to be aware of the fact that security measures are not immune to change, which is why they often require maintenance or upgrades over a certain period of time. With a security budget in place, businesses can set aside funds that allow them to maintain, replace, or upgrade their security protocols flawlessly. If a small business needs to replace some of the deadbolt locks on their premises, having a security budget on the table helps answer some of the pressing questions that need to be addressed. This creates a flow in which there are never any gaps left in your security when a particular protocol fails or if something needs to be changed to combat new threats. In many ways, this is the rainy day fund equivalent for security budgets. Not necessarily saying that all upgrades are emergencies, but it helps to be able to tackle one when you are presented with it. Do not be taken aback by the subheading of this section, and don’t doubt that you are reading it correctly. A security budget can help you plan for emergencies and flawlessly circumvent them. It is almost impossible to plan for emergencies, but you can set aside the resources to help you combat the fallout of any emergency that is thrown the way of your business. This includes emergencies that could be a result of a break-in to your commercial space, natural disaster that leaves many of your security protocols damaged, etc. The great thing about being able to plan for security emergencies is that your security protocols will never be down for too long. It is often in the wake of unprecedented emergencies that companies and businesses are left seemingly vulnerable. With the right budget in place that allocates resources for times like these, companies will never be left without security for extended periods of time. Every business understands that some form of growth is important. This could be the growth of the scope of services that a company may provide, or the growth of the clientele who utilize their services. In some cases it is simply the combination of both of these elements that helps business achieve the growth they envision for their companies. With a security budget in play, businesses can gradually grow the scope of their security, which in turn allows them to grow different aspects of their businesses. For example, if your company was unable to handle a certain number of daily transactions due to security constraints, the presence of a security budget can gradually help you push your operating boundaries even further. Business owners should understand that security is directly tied to the success of their business, and as such, the presence of a security budget becomes essential. By providing your company with a strong security framework, you make it easier for your business to run smoothly, and it also makes it easier for your customers and clients to trust in your company and the services you deliver.